Episode 002 Rich Wilens: Head Of JVZoo’s Webinar Division With 400+ Delivered Speaks On What Is Working NOW. In this episode number 2, I interview Rich Wilens, who has hosted over 400 different webinars for JVZoo’s sister company Webnarswaps. Currently he runs JVZoo’s Webinar division and has created in-depth training programs specifically about webinars - including one to be released March 2016, called 10X Your Webinars. He has over 40 years’ experience doing sales presentations from stage starting in 1976 working and learning from the great sales trainer Tom Hopkins and others, including E. Brian Rose. Now, adapting for the 21st century and the internet’s web seminar and conference explosion, Rich is here to share about what’s working now, how to get massive engagement, close the sale and craft the ideal sales webinar. Cindy: In this episode number 2 I interview Rich Wilens who has hosted over 400 different webinars for JVZoo’s sister company Webinar Swaps. Currently he runs JVZoo’s webinar division and has created in-depth training programs specifically about webinars including ones that have been released in March 2006, called “[inaudible 00:00:20] your Webinars.” He has over 48 years experience doing sales presentation from stage starting in 1976 working and learning from the great sales trainer Tom Hopkins and a whole bunch of others including E. Brian Roads. Now, he’s adapted his sales training for the 21st century and now the internet’s web seminar and conference explosion. Rich is here to share about what he’s working on now, how to get massive engagement for your webinars, how to close the sale, and how to craft the ideal sales webinar. Rich, thank you so much for joining us. Rich: Well, it’s absolutely my pleasure. Made me sound like, since 1976 do you know how many years that is? That many years. I just want to let you know, Cindy, 62 is the new 40. Cindy: I was like a tiny baby. Rich: I got ya. Okay. What do you want to talk about tonight? Cindy: I know that you’ve been doing this for a while, obviously, ’76. I’m sure you’ve seen a whole bunch of changes and that transition from going from selling in different methods and then to bringing it over to webinars. Let’s dive in here and just see, what do you think is working now? How do you see webinars? Do you think webinars are going to be around for a while still? Can you see any changes coming? What do you think? Rich: No, what people want is they want to be entertained and informed. They want to spend an hour with you because believe it or not, 99% of the people who show up for webinars want to be entertained because they crave the information they need in order to find the next big thing. The next thing that’s going to help them out of their rut. Most of the time, the attendees that you have are just people who are information gatherers. Now, there is nothing wrong with that because everybody who attends your webinars, you have to change your thinking, [inaudible 00:03:41]. You’ve got to change your mind [inaudible 00:03:44] are all prospects. What you have to do is you have to info-tain them. You have to give them a reason to like you and buy from you. You have to do it in a structure in order to keep your attendees attention. The answer to your question is, the long way around, have webinars changed? Yes, they are now workshops and they’ve changed from [inaudible 00:04:10] in front of an audience to looking at your computer, your television set, or your monitor and inviting them into your living room. Cindy: Yeah, right, exactly. You make a really good point there about changing even just changing it to workshops or, I know some people say live training sessions, or anything like that and moving away from the actual word webinar. Gets a lot more people on your webinar. Rich: It’s a negative connotation. We used to use the term ‘red’ as a negative connotation because red mean stop, green meant go. If you always used a highlighter, you would use green because green is a power color. The term pitch, I used to believe, this was in 1976, pitch was a negative connotation. I’m not trying to pitch you something, “oh are you trying to pitch me something?” No, I’m trying to present the information you need to make the right decision. That’s what you have to do in today’s webinars. Cindy: Mm-hmm (affirmative). Yup. Let’s go and talk a little bit more about that. How do you get a lot of people in? I know you’re saying that there are literally millions out there of people. We are going to be talking quite a lot now about dealing with selling products to business owners to people who are working from home, kind of like the make money from home sort of niche, correct? That’s your area of expertise here or do you do more niche stuff? Rich: My niche is anybody who can present a product with a webinar. Rich: I basically have everybody in my prospect list because everybody needs product presentation, even if you are selling a service. Rich: A product, if you are selling information, or you’re selling physical products everybody likes a face. Whose the guy that does the shamwow? I love that guy, and Billy Mayes, now he’s gone. As goofy as he is, you know, rather than the other two clowns who take care of everything in the background. Everybody loves to have a face and everybody wants to have a connection. That’s why I say that everybody who’s attending your webinar is a prospect. Try to put yourself on a 1-on-1 with everybody who is on this web seminar because they came here for one reason, they came there to see you. Cindy: Right. Once you get these people onto the webinar, do you have any tricks for actually leading them towards conversions? Towards the sale? Maybe you could share some of of those tricks with those listeners. Rich: Sure, first of all, I don’t use the term ‘tricks,’ I think tricks is also a negative connotation. Let me share with you, a lot of people think tricks or hacks or any of those things, to me, I always think I’m going to hack into something so I’m not really quite doing something above board. Rich: What I teach and what I share with people is how… exactly… How to be upfront with somebody because people don’t care how much they know until they know how much you care. Remember you’re dealing with a prospect. If you just take the term, ‘Oh, he’s just an opt-in,’ well, that’s all he is, he’s an opt-in. But if you take the thinking that he is a person who is going to give you money for a product or a service they are going to use, they are going to remember you and they are going to buy from you again. Who would you rather buy from? Somebody who is new or something that you already bought before that’s been consistent like yourself with your product. People buy from you because they buy Cindy, they don’t necessarily buy the product. How many people do you know bought your product that still have it in their cart and haven’t used it just because they bought from you. This is where webinars are going. It’s kind of like a 1-on-1. One of the reasons why I say it’s a 1-on-1 because people need to change their thinking. To give you an example, let’s say you fill up a go to [inaudible 00:08:16] situation right now there are other products out there that are better than go-to meetings. But, go-to meeting and go-to webinar are very reliable. They only let you get 1,000 people but every attendee doesn’t know there is 1,000 people on. It is only because you tell them. The attendee only logged in because of you. Now, if you take one person that is on this web seminar and you start talking to them 1-on-1, do you know that all 1,000 people will believe that you are talking to them? Oh my god, just think if you mention people’s names, they go crazy. Everybody likes to be acknowledged. One of the things that I share with people in today’s webinars is creating that 1-on-1 and it will convert to everybody there. Everybody will feel a piece about you. They’ll like you and once they like you, they will buy from you. Cindy: Exactly. Yeah. That sort of leads them towards the sale, because you’re not pushing them into something. You’re pushing them because they have… you don’t even have to push them because they are there to see you and you’ve got something to share with them. Cindy: That kind of helps towards the conversions correct? Rich: That’s another thing too. I don’t push anybody into anything. There’s three reasons why people done buy. I’ve always said this and these are the basics, I’ll tell you a quick story. Have you heard of a guy called Grant Cardone? Cindy: Yes. I had the privilege of interviewing him recently, he’s an amazing guy. Rich: Well, I’ll have you know he attended two of my workshops in 1984 and ’85 in southern California and a lot of the stuff that he has in his material are all materials that he has taken and he has learned from all the other sales trainers that came before him. Nothing Grant Cardone says is new except the way he presents it. They way he presents it is fabulous. He’s taken basically what I did and was in a position that he came to see me at the whole different level and he did exactly what he did was 10x his life and the way he does business. Which is a model for me because it’s like a round table, a round circle, it came back. He came my workshop, I bought his books, now I’m 10x-ing the webinars giving people 10 solid reasons, 10x why their webinar can convert and close rather than what they’ve already been doing. Thank you Grant Cardone for that. When were talking about webinars and what’s happening that’s new. First of all, I can tell you right now if you have a webinar right now, anybody out there who is listening, if you are having a webinar right now, the firs problem is it’s too long, that’s it. People’s attention span, Cindy, is 51 minutes, that’s it. Th only reason they keep people on there an extra hour is just to grind out that last sale. It’s kind of like stretching out the months for a car salesman, trying to make that last car roll out the door. It’s just not going to happen. At the end of 51 minutes, you’re done. It’s time for you to have that buy button out there where people could have already purchased the product or it’s time to say, “Hey, look, I’m here, you’re here, the product is here.” We are talking about the three reasons why people don’t buy me, the machine, or money. It’s never me because people love me, I’m loved. That’s because I razzle dazzle them. Jazz hands. The other reason is the product. There I no reason this product shouldn’t be product of the day on JVZoo and Warrior Form if Mike Lans was smart, that’s a whole other thing. I say that lovingly Mike. Make it product of the day because it’s a great product and money has never been an issue. It’s usually a $27 investment of you and your time in order to confirm a claim that somebody is making of a product that you’re purchasing that’s going to help eliminate a problem and a pain for you. All of those things create the sale, you create that during the webinar, they love me, they love my product, money has never been a problem, there is no reason that you cannot convert everybody. Now, back from la-la land. Nobody is going to convert everybody. These guys that say, “I’ve converted 80% and 70%,” please. The only thing that they are fooling is themselves. They have sent their own list and their own list loves them and they had 10 people show up and 8 of them bought. Hey, I closed 80%. I mean, numbers can be construed into everything. Here is the basic numbers that can control your closing ratio, if you can learn these and use these and you improve your closure rating. If people are listening to the webinar at the time when you are closing them 50, if you close 20%, that is 10 people. If you take the people who are listening to me at the closing, which is 50, which would be 20% of 10 or the total attendees which was 100 and you sold 10, that’s 10% so now you know you closed 10%. You take that 10%, you figure out how much profit that you want to make in the next webinar and you multiply that by the attendees. You want to sell 100 piece, you need 1,000 people on the webinar. With that being said, taking into account that there is 1,000 people on the webinar now that you have analyzed that doing what you are doing now you’re selling 10%, 10x your webinar up and do something different and you’ll increase that by 5%. Well, how much will 5 sales or 50 sales increase your bottom line? In order to do that, you need to shorten up your webinars to around 60 minutes or less that’s where we get into the 52 one minutes of people’s attention span. To give just a little recap of what we were chatting about you’ve got structured webinar that you have kept under an hour. You’ve kept people under that 51 minute mark right around 45 you’re giving them a buy button because you have just introduced a product to them and that product is great product. It is one that they all need to solve a problem, it was present by you either the creator or the owner of that product because people love you, and the money has never been an issue. What is the reason not to take advantage of this now? Paypal now offers a 30 day guarantee, so it doesn’t matter. There are no scams in this business anymore. You’ve got 30 days and you can say, “I don’t want it Paypal.” You either use it or you don’t. Not that many people just want to scam a free product? If the do, god bless them. Most of the time, you know you can get your money back at the end of the 30 days. There is no reason why everybody shouldn’t buy that product and that is the attitude you have to take. That’s where you use the different techniques within that hour in order to close more sales. Cindy: Right. In this 45 minutes that you’ve got, how do you keep them engaged? Do you have anything that you an share with these guys about how to keep people wanting to stay on for that whole time that you want them to tune in and to actually pay attention to what you’ve got going on? Rich: I do and I am going to give you 2 secrets right now that I use in every webinar that I use that increases my sales by at least 2 to 5 sales per sale. When I first get on the webinar I instruct people, “Okay, now for those of you who either cannot stay the whole hour or who want want to stay the whole hour but they need a little bit more information like their problem solved. Go ahead, my assistant is working the question box, go ahead and leave your phone number and I will get back to you. Because, if it is going to take more… Here is what is going to happen, I am going to solve a lot of problems in an hour, but if you have more questions, just go ahead and leave them now. Jake, go ahead and take their numbers. Is everybody leaving their phone numbers?” Just by saying that I always get 10-15 numbers of people who want to talk to me. Well, there is 10-15 opportunities to seel my product. Rich: By using that, plus it is another chance to sell other products that I have down the road. Now, to engage people in the audience, let’s go back to what I was talking about a little earlier with go-to meeting, go-to webinar, they only carry 1,000 people, so you have 1,000 people max and we are not going to a concert, we are not going to a holiday in where there is 200 people listening to the guy telling about real estate and flipping the product and taking his course, we are talking about one person signing up. They don’t know whether it’s live or whether it is recorded. Now, I have two opinions on that, we will talk about that if we have time in a minute. They don’t know if there is 1,000 people there, they only know that one person is there so, how do you want to engage people? Here is what you do, here is another secret that I share with people who have products. That kind of thing. Right then and there it breaks the ice. That’s a little technique that I use, I overcome the objection before there is an objection. Cindy: I want to continue talking a little bit about what you are talking about with recorded webinars. I want to know what do you think your opinion live vs. replay is there a place for both? Do you prefer one over the other? Do you have anything you can share on those? want that live connection, on the other hand people don’t always have time. If they have a recorded webinar, these webinars can be accessed at any time. It could be an instant recorded webinar, it could be a 30 minute recorded webinar, or 45 minute recorded webinar, the could have it in a day or 2, you know the way you can schedule it. Now, I have an opinion on some of the other… I’m not crazy about go-to, I mean I go-to but google plus., I’m not stable with that concept but there are some programs out there that do offer a webinar type program similar to go to but not necessarily affordable such as on-TV and JVZoo and probably, you shouldn’t say that it is creating a [inaudible 00:19:33] platform. JVZoo webinars are where they are going to be offering… well I cannot really say that either. You know what, I just had a filter. Cindy: Right. Rich: EBR would be so proud of me. Anyway, that is what is happening, we are having a recorded webinar at any time is awesome as well because that’s when you have to look at as an opt-in. 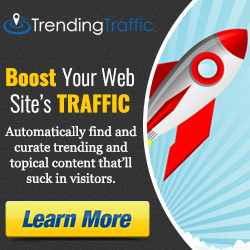 That’s how you generate traffic to your site. It is just like an opt-in page where you are selling information, whether you are the WSO on warrior plus the product of the day. It is basically doing the segment of sales page to drive traffic, you buy an opt-in. Now you can buy realistic traffic or you can buy shoot traffic. You could buy .0001 cent, you know, the Facebook clicks that you get. Which is somebody in Nigeria that is not going to have any money. Or, you’ll have to excuse me, my nose itches, that means it is going to rain. I was riding my bike earlier. Or, you can spend something realistic, like give yourself $1 a click. Rule of thumb that I do when people want to drive traffic. How much are you going to make for one sale? Let’s say it is a 197 product, and so you are going to make $100 take that $100 buy 100 clicks. If you’re getting 10% out of 100 clicks if 50% of them show up and you’re doing 20% that is 10 sales. All you have yo do is make one sale back from that money that you sent and all least you know you’re buying that click. Or you direct it to any niche, any click at the groups if you want to work Facebook. Do Facebook groups, let people know there. Bust your way in, what is the worst thing they can tell you? Oh, we don’t want that SPAM on our… okay, sorry. Rich: Well, I didn’t mean to do that, I won’t do it again. Okay, well Rich we know who you are so… Yeah thanks you know where I live, oh okay. Cindy: It’s basically making sure… you need to know that what you’re selling is going to convert though. Otherwise, you will be sending traffic to something that’s not actually going to end up making money and then you lose money. Rich: That’s why I said, if you are going to target, do you know who Andrea Fulton is? Rich: Andrea has a great list to buy from. Oh, plug plug, and I don’t even like her. Yeah I do. Rich: Yeah, I know it is. I buy clicks from her. They are always good for me. If I sell 1 out of the 300 clicks, all right, I’ve spend $300 but I’m going to make… now that I think of it I only making $100, well you know what I mean. You’ve got to adjust for what it is going to be. If I’m making $100 I’ll spend $100. Like I said, if I get 100 people to show up and you can close 10%. Plus another thing, Cindy, that I suggest people to do is have a little pre-show. I like to have a little pre-show about 15 minutes where I get on and I chat with the folks. Turn on the webcam, show them my kitchen and my house. Here’s my house, that’s what my backyard looks like. That kind of stuff. I get out of my kitchen, I have my desk in my kitchen that way it is shorter to the refrigerator. Which reminds me, I did my 10,000 steps today. Rich: They were to my refrigeration and back. I got that workout. i woke up this morning feeling like exercise, so I went back to bed until that feeling passed. Cindy: You’re a dork. Rich: Yeah I know. Vault111, I didn’t think you’d know that, I got that from my son. Rich: Nobody else picked up on that. somebody you were joking around. Cindy: For the sake of people that are listening, if you’re not aware. Rich here runs the JVZoo events. It’s Marketing Mayhem that’s coming out very soon. I am headed over there as well. If you’re listening and you happen to be headed over to Orlando, make sure that you drop by because it is a really cool place to hang out and meet up with a whole bunch of marketers and connect with people. Actually my business really rook off as soon as I started attending events. Rich: In all fairness Cindy, your products are good and everybody loves you. Rich: They wouldn’t buy your products if they were crap. I’m serious. Rich: You’re work stands for itself. That’s the reason that people buy. It is not just the pretty face on it, although I would buy that pretty face. Cindy: Oh please. Okay. So we were talking about webinars. Rich: All right all right. Cindy: Do you have any final words of wisdom that you might like to share with our listeners. Do you have any bits that we might not have covered? Any tid bits about webinars and making sure they convert, maybe? Rich: I do. We didn’t talk about structuring your webinar and I believe… Cindy: We didn’t, yeah. Would you like to get into that? Rich: Yeah, well we talked about structuring 60 minute worth of webinar but how you actually do it is this. Here is is the secret. If you look at an hour clock, and look at like a radio station clock on the wall. At 12 minutes they’d have a commercial then 3 minutes they would have a commercial, then they would get back into music and they would have that to 33 and then they would have weather and then they would have a public service announcement, then they would get to two songs, and then they’d have commercials for 4 minutes, and then they would get up to a quarter of the hour and they would play two records and then at 52 they would have two commercials and take it all the way to the quarter of the hour. That’s how you break down your webinar. You give the first two minutes, you tell about yourself, “Hi, I’m Rich I fly airplanes. I like fires and I have a good time eating at buffets.” Then show a couple of pictures because we all take pictures of our food. Show a couple of pictures and then go right into your webinar. Rich: With you, interact with you by asking questions that everybody can answer. Did you like the product? Did you like the way it looked? Did you like the way it feels? Do you think it will be a benefit for you? Will it help you with your problems? Does it solve your problems? Is there anything else, or my favorite two words, and always remember that…. other than that, “Other than,” is that the only thing stopping you from taking advantage of this product today? Well if they say “no, nothing else,” there is no reason for them to buy. Structure you’re webinar for 45 minutes start with your question and answer and through your question and answer intertwine your clothes end it at 60 minutes is the best advice that I can give you even if you have your own webinar, take advantage and shorten it right now. You know the stuff to cut up. Cindy, you know the stuff that you are going to have to edit in this interview. Cindy: Yes. Do you have any advice on the percentage? You’re talking about different [inaudible 00:28:12] what about content versus pitch, I mean you had the word pitch? Content versus actually selling them. How much content do you deliver? Rich: You break it down into 15 minute [inaudible 00:28:28]. If you’re going to do that it has to be 75% has to be pitched, it has to be content. Cindy: Yeah okay. Rich: Okay. If your going to do 75% and it has to be solid content, the other 15 minutes is throw away. Basically you have 2 minutes to introduce yourself, you’ve got anywhere between 43 and 45 minutes to go ahead and present your product and you have to actually meet all of the criteria of your presentation which I go through like a meet and greet of presentation and investigation. A product presentation, a demonstration, a trial close, a close, overcoming objection, closing were talking follow-up the sales and asking for another sale. If you think that is a lot if you don’t do that with everybody, you’ll lose out on people. Now, if you do that with everybody you increase one or two sales per person. That’s how I talk like you can convert. Do the things they other people won’t do and you’ll be a successful as you can be. Don’t settle for mediocrity. Mediocrity is not a sin, but just remember, if you are mediocre you’re always at your best. Don’t always be your best. Cindy: Oh well. Thank you so much for sharing these hints and tips. Cindy: I really appreciate you being here Rich and I look forward to seeing you at the JVZoo event next month. Rich: I look forward to it as well. You have a great day Cindy. Rich: Adios, all right mate, bye. During this episode, Walt shares his exact strategy for raking in hundreds of thousands of dollars using online webinars - and specifically how he structures his pricing, how he finds the perfect products to sell and how he gets stellar conversions every time. Cindy Donovan: In this episode I interview Walter Bayliss, creator of multiple highly successful software products like RepWarn, Hydravid. He’s been consistently seeing great results with webinars, so much so that he even developed his own webinar platform, Webinar JEO, which is going to be released a little bit later in March. Walter, thank you for being here. Walt Bayliss: Hey, thanks for having me on the show. It’s a pleasure. Cindy Donovan: Before we dive into all the good stuff, this is actually the very first episode of 7 Figure Furnace and also the first in our series about webinars, focusing on webinar pricing and relevant webinar related awesomeness. Maybe we could just quickly cover a couple of basics. Walt, do you reckon you could tell our listeners what is a webinar and why are they so awesome? Walt Bayliss: Yeah, sure, absolutely. A webinar is a seminar held on the web. If you understand what a seminar is, a seminar is somebody that’s got a message to share, it might be coaching, it might be training, it might be information of any kind. Take that audience and put them on the internet. Of course with technology we can have an audience that’s spread anywhere across the world and you can communicate to people, like we are, in separate countries right now, communicating with live time voices chat and be able to do the seminar on the web. That’s a webinar. Why are they so awesome? Well, because the web itself lends itself to a lot of impersonalisations. What do I mean by that? You go to a webpage, you’re looking at the webpage, making a decision on a product, perhaps buying that product. You’re researching, you’re trying to find something out. Even if you’re doing a training course, you’re online, you’re reading through the PDFs, you’re watching video training, that kind of stuff. There’s no personal interaction. Why are webinars so awesome? Because it allows people to communicate in live time and adds that personalization to the whole experience again. What we end up with is this interactive experience and rather than a message and a decision, so I put out a message and whoever sees that message makes a decision about it. Rather than that being a very non-engaged loop, with a webinar when you put out a message you have the opportunity to get live feedback, you can communicate with people, you can make sure that any questions that haven’t been clearly explained are answered. Yeah, you end up with a much higher level of engagement…. some of the stuff that people send into support desks, I know for sure that nobody would come and say some of this stuff to your face because they assume that the internet is out there and it’s something that … We’re not real people. When you put a face on it people want to buy and they want to connect. Walt: From a purchasing point of view, it makes communicating the message of the product a lot easier. If you’re doing a demonstration of a product online, people can actually see it working in live time, they don’t have to guess does it do that, doesn’t it, and make assumptions about that product. The buying experience is a lot higher. There’s of course lots of different types of webinars, as you know. There’s training webinars, there’s coaching, there’s sales, there’s lots of different environments where webinars work. Certainly from a sales perspective, if a customer can see and engage with a face, a person who is talking through the sale itself, the product, what it does and how it works, then they don’t have to make these assumptions of what they think the product does. They can see it, they can walk through it with the creator of the product, they can ask questions and they can make sure they feel comfortable about their purchase. Cindy: Yeah, that’s really good. In this podcast, I want to really talk about price points. What have you found to be the best converting price point and how do you come to that decision? Walt: The first thing that I’ve got there from an answer to that question is to make it a no-brainer. To make it a no-brainer. When you’re looking at a product, you’re seeing the value of it. If it gets to the point of the pricing and it causes either one of these two reactions, the first reaction being, “Oooohh,” then it’s too high. The second reaction being, “Really?” Then it’s too low. I’ve run webinars, and thanks very much for the very kind words in your introduction. One of the things you said was “getting stellar conversions every time.” That hasn’t happened by accident. What do I mean by that? If I sell a product and happy to take the money, and then at the end of the experience of buying that product the people who have paid the money aren’t happy with the result, then I’m richer financially, but they are poorer. If you craft your product in such a way that no matter what it costs, the value far exceeds that cost … Let me give you an example. If I look at a new car, for example, and say this car is $30,000. If you buy the car and you love it so much, it’s so great, it gives you years of good service, it’s the most comfortable, it’s easy to drive, it’s the best car you ever had, then that $30,000 has been well worth it for the lifetime of that car. In the other side, if you bought the car and at $30,000 and it gives you no end of trouble and it’s always in at the shop, it has a weird judder when you’re driving and a bad smell and blah blah blah, then you don’t have that $30,000 worth of experience. What I talk about is make sure that both sides of the transaction are richer as a result. If I sell you this for $100, I really want to make sure that you are richer as a result of buying it; you’ve got more value, you’re able to do more things because you bought that particular product. Both sides need to be richer. The seller of the product richer from a financial perspective, certainly, that they’ve been able to sell their product and put money in the bank, but the buyers of the product to be richer as a result of buying. They’ve got more value than the cost that they’ve outlaid. Those two points, making it a no-brainer, so it’s an easy decision to make to buy that product. That doesn’t give you a price level because everything is going to be different, and then making sure that both sides of the transaction are richer. If you follow those two steps, you will end up with a price point that is both easy to swallow from a consumer’s point of view, and gives incredible value. Then it’s an easy transaction. As we’ve sold products, I think the most expensive product I’ve sold on webinar where the webinar pricing has been $5,000, 4,997 as they do in marketing circles. The cheapest product we’ve sold on a webinar, specifically where webinar pricing has been that $1 trial, which went nowhere. As a direct sale, I would say at $100. The conversions pretty much stay the same depending on the value of the offer. It’s a matter of making sure that what you’ve got delivers that value, what is it worth to a consumer and is it an easy decision for them to make. It it’s a $100 product, don’t try and sell it for $500. Conversely, if it’s a $5,000 product don’t try and sell it for 100. Cindy: Right, right. I see people doing single payments, multi-payments, as you mentioned, trial payments. What’s your opinion on whether to hit them up for a single payment or spread that out so if it’s a $1,000 product do it in instalments. What’s your experience there? Walt: Again, it depends on the product and of course on the pricing of it. What I’ve seen is a great technique, and I’ve seen this done by some of the best people in the industry, is they’ll do the single payment on the webinar, so they’re talking about … Let’s pick a price point just for the sake of the argument, say that it’s at 997, that’s a $1,000 product. They’re talking about their $1,000 product, they’re building the value, they’ve show that actually if you buy this you’re getting this bonus and this bonus and you get this and you get that. You’re actually getting $10,000 worth of stuff, it’s going to cost you 1,000. Okay, great, it’s an easy decision, you get loads of value, it’s $1,000, $1,000, $1,000. You’re pitching that single price point on the webinar and then on the replay as well. One of the most important things about a webinar, and especially in today, we’ve seen that the sequence, and I know that some of your 7 Figure Furnace guys are going to talk about the sequence of webinars later on in the series, so stay tuned you guys. We found in a sequence that of course we have a lead up: “there’s a webinar happening on this date, register now, it’s happening tomorrow, make sure you’re registered, it’s on in an hour.” Getting that build up towards the webinar. Then the webinar pitch, and then the most important or the biggest part of the sales come in the follow-up. Follow-up emails in terms of “did you miss the live webinar? Come and join on the replay” and then talking about the offer that was presented on the webinar. What we’ve really found works well is you pitch the single price point on the webinar, it’s $1,000, $1,000, $1,000, it’s $10,000 worth of value, it’s $1,000, $1,000. You’re driving for as much of that big price set point as you can. Then towards the end of the replay sequence is when you start dropping in a payment plan option. Okay, so it’s $1,000, $1,000, $1,000, come and watch the replay, it’s $1,000. Come and watch the replay tomorrow, it’s $1,000. We’re closing the offer in 48 hours and because I know that a lot of you want to get involved but don’t have $1,000 with you, we’re going to offer you the opportunity to have three payments of 397. That’s what I’ve found works really well is present the product as it’s priced at the time of the webinar, and then try and get as much as you can from a sales perspective, and then drop in the multi-pay option towards the end. That’s from my personal perspective what we’ve seen works really well. Cindy: Yeah, well that totally makes sense. It helps people just to get rid of any of those last hanging on problems, issues, to stop them from actually buying. Walt: For the people that have bought on the single price, you want to make sure that they feel special. There will be people that, they’re on the webinar, they had to scrape to get that money together, it wasn’t easy money for them, so they’ve outlaid the money. The last thing you want to do is make them feel like they should have waited. If it’s $1,000, make sure that the payment plan is higher, so in other words, if I pay the $1,000 I’ve actually got the best deal, but if I can’t quite get the money together, three payments of 397 actually works out to be an extra couple hundred dollars more to spread it over that time. If you’ve paid the money upfront you feel good that you’ve saved that money in the long term. You want to make sure that the payment plan costs a little bit more at the end. Cindy: Yeah, exactly, and it’s going to stop people getting upset and getting refunds and feeling ripped off. Cindy: When you’re putting together products or you’re finding products to sell on webinars, how do you find the ones that are going to sell? Do you have a gut feeling when you look at a product and you go, yeah, this is going to sell really well at this price. Or do you find some that are just … you know you need to sell it or you might feel like you need to sell it but you know that it’s going to be a tough sell. How do you separate which ones are awesome and which ones are going to be tough? people in the industry. One of the ways of me answering then is with trust that the product creates. I’ve done a lot of work with Damien Zamora, for example, from GoMobile. When Damien hits me up and says, “Hey, Walt, XYZ product,” I know that Damien’s staff always delivers an amazing value, and so that’s an easy decision for me to make. It is a gut feel, really. You’ve got to know the person, for a start. Who are they, what are they, what are their business values, what do their customers say about them? It’s really quick to find that kind of stuff on Facebook, very quick search of them. See the comments on the wall and you get a pretty good understanding pretty quickly. Also, see if you can find testimonials from previous products. Are the customers going to have a good experience? Make sure you get a copy of it yourself. If something is being sold and you’re representing that something by setting up a webinar for your people to come and listen, make sure you get a copy, see what it is and understand it. If you get the buzz when you look at the product, when you look at the product and go, “Wow, this is awesome,” then other people will feel the same way. If you look at a product and go, “Yeah, I’m just not that sure about it,” it’s not the right fit for you. You’re not going to be able to confidently stand up and talk to people about it. I’ve done sales; before we started our own business, I was working in corporate sales at a high boardroom level, we’re talking billion dollar deals, that kind of stuff. If you couldn’t legitimately stand in front and say, “This is the best decision that you could possibly make as a company,” if you don’t feel it, there’s absolutely no way that the sale will be made. You have to do the introduction on a webinar, you have to stand behind the person that’s presenting, and if you don’t feel it, don’t do the webinar. Cindy: Yeah. I know it can be tempting because once you start getting your reputation around and people start coming and pitching you ideas and that kind of thing, it can look like it’s something that you can just quickly, easily make a bit of money from, so there’s that temptation there to just go and jump on it. It’s really important to keep integrity and make sure that you’re promoting and what you’re sticking your name behind is going to be something that you can actually get excited about and lend your name to. Yeah, these are really good points. Cindy: It doesn’t … right. out to your people and say, “Hey guys, sorry, we understand there are problems, let’s work together to solve it.” Ninety percent of the time, if you follow what we just said, do research and make sure that you’re understanding what you’re putting in front of people, because it is your name behind it, then you should be fine, be doing okay. It’s easy to find products that fit, and again you can do something as simple as a Google search, whatever your market is. For example, you mentioned RepWarn, which is our reputation management software, and Hydravid, which is our video marketing software. If I Google either one of the terms around that, so if I talk about reputation management, I put that into Google, there will be companies that pop up that have not competing software but maybe ancillary services, and that’s a perfect match. I can reach out to them and see if we can do some cross-selling between our two companies. The same with the video marketing. There’s an incredible industry that fringes on video marketing and as long as you have a product that’s noncompetitive but aligns with what you’re both trying to achieve, then that’s an excellent opportunity to do something together. Cindy: On most of your webinars you are selling software; I don’t think I’ve seen you selling training or coaching or that kind of thing on webinars, it’s mostly software, am I right? It’s easy for me, but again if I look at some of our colleagues and well known people online, they equally talk about software as well as training or as well as training programs or courses or seminars. I’ve seen webinars pitching live events. You come to a webinar, 90 minutes or an hour, meeting someone specific, and at the end what they’re talking about is an event somewhere in the world and a special offer on tickets. There’s so many different products that are available for sale on webinar. Personally I stay in software because I understand it and it’s easy to see a result. Again, if somebody came to me with the right training program, I would for sure talk to my people about it. really make sure that that demonstration comes across slick, how to actually present it so that it’s going to sell? Walt: Yeah, sure. The first way to answer that is by not launching into a demonstration from the first moment that you’re on camera, or the first moment that the webinar is on. Why? Because the people that are there, they want to answer the first question of why are we here for a start. There needs to be an explanation about a problem, so we’re here to talk about this is a problem, this is a problem in this particular marketplace or in this sector of the community, or yourself. This is a problem that we have all seen. Can we agree that this is a problem? Yes, okay. Now I can acknowledge that my audience sees that this is a problem for themselves or for a section of the world. Now that I know that that’s a problem, this is a known solution. Our solution is we follow these steps, we do this, this and this, and this solves that solution. Okay, now let me show you some software that takes all of that middle part and makes it into a five minute exercise instead of a five month exercise. You need to be able to set the ground before you fire up the software. Once you’ve done that, so that comes in … Again, I know that your 7 Figure Furnace guys have got how to structure a webinar as one that they’re going to [inaudible 00:20:34], so again, guys, make sure you listen, it’s hugely valuable. Once you’ve got the structure and you’ve walked through the problem and the identification and you’re actually demonstrating, how do you make sure that goes smoothly? First of all, practice. That goes without saying. Make sure you know what you’re showing better than anybody else in the world. Make sure you’re the best at it, so that’s number one. Make sure that you’ve got the results easily demonstrable as well, easily visible for the people that are on the webinar so they don’t have to sit there with ten minutes worth of pained silence while the software does its automated tricks; because even if it only takes ten minutes, actually, let’s be even more clear. Even if it takes only five minutes, okay, it’s a pained silence. Cindy: That’s a long time. Walt: If you think about five minutes to set up. There’s a lot of software that’s instant, of course. Click this and bang, it’s done. Do this, it takes you to the next step. If there’s any steps of your software program specifically that take time to run, then make sure that that’s well-prepared in advance. Cindy: Yeah, absolutely, and you don’t have to go digging around for links. Make sure that you have everything ready and that it’s good to go. are going to drill down into other topics for your listeners. Specifically this month we’re just covering webinars, so we just want to make sure that you’ve got everything equipped for webinars and to make sure that you’re doing them the best that you can. Before we head out, Walt, do you have any last-minute tips, action points, or anything that people who are really wanting to just dive into webinars can take and implement today? done one before, you’d really like to because obviously we’re talking about money. Who doesn’t want some more, right? If you’re sitting there thinking to yourself I’d really like to but I’ve never done before and I’m super scared. What the great news is is that if you are beginning by bringing an expert to your audience, okay, they are doing the presentation, all right. First of all let me say that the expert, the person who’s doing the presenting, loves that opportunity. If you’ve got the audience, they have the product and you can put them together, that’s a really welcome introduction from that product creator’s point of view. things that you can do to drive traffic towards any webinar sign-up page, you just need to define the audience and run some ads to it. If you can bring the audience, I guess my point being, don’t feel scared about setting up a webinar because if the person you’re bringing, they’re going to do all of the hard work. If you’ve never done it before, switch on your webcam and just, as Cindy did at the beginning of this podcast, “Hi, my name is Cindy,” or of course whoever is listening you would probably use your own name, that would be smarter. “Hi, this is me. Today we’re going to be talking about blah blah blah, and I’d like to introduce you to somebody who has been an expert in that area, and this is the person that I’m introducing. They’re going to talk to you for the next 30, 40, 50 minutes about A, B and C, and by the end of it you’re going to have this in your toolkit. Now I’d like to hand over to that person.” If you can do a professional introduction, your job is done and yeah, you can earn up to 50% of every single sale. Imagine if you’re selling a 500 or 1,000 or even $2,000 product, you’re earning 50% of the commission by doing two things: A, bringing the audience, and B, doing a professional introduction. Everything else is taken care of for you. Don’t be scared of webinars, in fact, go out and speak to some people. I’ve always used a bit of a mantra that action [Q 00:25:56] is for you. If you go out and you’re dead set scared and the first thing that you do is speak to someone and say, “Hey, would you like to run a webinar to my audience for your product?” I’m pretty sure you’re going to get some positive responses, so you don’t have to have that fear of rejection. If you’ve got the audience then people are going to be happy to speak to you. If you don’t have the audience, make that your first goal. Go and build an audience about a specific topic. Once you have the audience then you’ll be easily able to find a webinar to suit. minute doing the introduction, and then you hand over to someone that’s very confident and great with the audience, they do this a lot of times. Even if you totally screw up the introduction, it’s not the end of the world either, is it. Walt: What we’ve just done is take away every reason why you shouldn’t be buying. Walt: You can rough up the introduction and still do extremely well in a webinar, which I’ve done and which we know works, then you’re in good company, you’ll be fine. Cindy: Absolutely. Walt: Just get it done. Yeah, my tip would be just get it done. Cindy: Just go for it. Cindy: All right. Thank you so much, Walt, for coming in here and sharing so many gems. I hope our listeners have had a lot of great notes to take and will be able to move on in webinars. Thanks heaps for joining us. Walt: My pleasure, great to see you. Cindy: All right, bye.